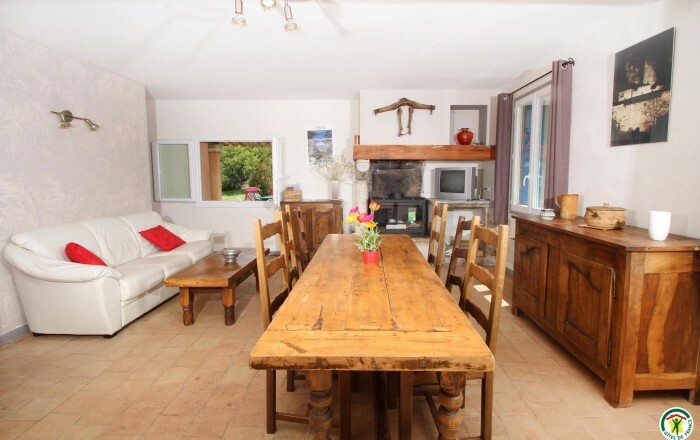 Charming country gîte in peaceful setting between mountains and river. Fine open views of Vercors mountains. Outdoor activities: walking/hiking, cycling, swimming, tree-topping, canyoning, Via Ferrata (assisted rock climbing). Just a few min. drive (outings, picnics) from Vallon de Combeau, Giono forest at Châtillon-en-Diois and Le Claps at Luc-en-Diois. Within 50km radius: Tour de Crest or Vercors Prehistory museum. Kitchen area, living room, 2 bedrooms (double bed) (double bed), alcove suitable for children (two 70cm bunks), shower room. Accessed via 500m track. On banks of river. Très bon endroit pour le repos; je reviendrais. très bon séjour.